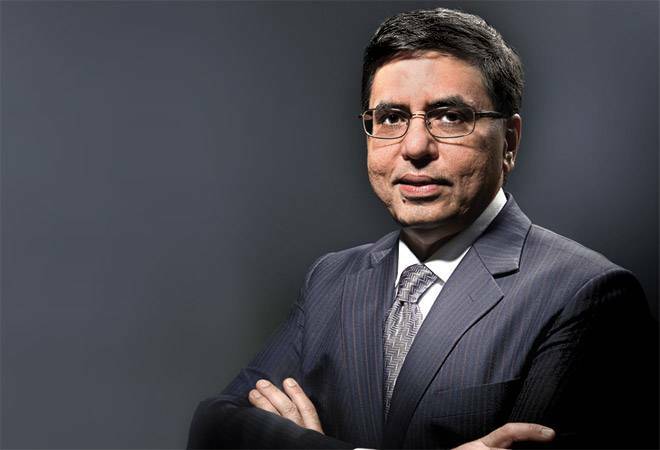 Sanjiv Mehta, Chairman and Managing Director of the Rs35,218 crore Hindustan Unilever Limited (HUL), has been a Unilever globe trotter and trouble shooter for the past 25 years. He started his stint with the FMCG multinational as part of the team setting up the business from scratch in Dubai, had stints as chairman of Unilever Bangladesh (which was in the throes of an anti-MNC sentiment), in Africa and again as chairman of Unilever operations in the Middle East (right in the middle of Arab Spring), with postings at the London headquarters in between. In 2013, Unilever offered Mehta the chance to take over as CEO and managing director of HUL (in July 2018, he took over as chairman after Harish Manwani retired). It was not just a reward posting to his home country towards the end of a long and illustrious career. Unilever was probably looking at Mehta applying some of the unconventional and contrarian thinking he is known for in the Unilever network. (During Arab Spring, he told his Egypt country head to dramatically increase spending on marketing and distribution even as rivals were slowing down. Unilever gained massively as things settled down. In fact, it continued growing at double digits even during the peak of the trouble). HUL was not really in trouble when he took over. You can't call an FMCG leader that clocked revenues of Rs28,019 crore and net profits of Rs4,799 crore in trouble. But there was a feeling that HUL needed to do something different. It was not reacting quickly to smaller, nimbler rivals like Patanjali which were popping up. It was not rolling out new products or hitting new markets rapidly enough. E-commerce was taking off in a big way but HUL had not taken advantage of the new retail channel. It had perhaps become too big to be as innovative as smaller competitors. It needed a reinvention. On top of it, the country's overall economic growth had slowed, and that affected most FMCG players - especially big, organised ones as consumers in rural areas traded down to buy from smaller, unorganised rivals who were selling cheaply. Even before he landed in Mumbai to take charge, Mehta had decided what he needed to know about HUL operations - he sent a small mail to the senior team in India asking for only a set of specific numbers and information, not big presentations, about their businesses. He already had a couple of insights about how to remake the business. First, as he loves to point out - India has more markets than either Africa or the Middle East, even though he was dealing with different countries there and different states here. Second, you could not compete with smaller, local rivals with the centralised structure that HUL had. Over the past four years, Mehta has rolled out two unique strategies (which needed creating new reporting and management structures called Winning in Many Indias and the Country Category Business Teams), used artificial intelligence and technology to better predict product movements and stocking requirements, started an e-commerce initiative, cut product development time, and created a localisation strategy that would see multiple product variants aimed at local tastes. He says in India, coffee and tea tastes change in every state. The Bru that Karnataka likes is not the coffee that people in Tamil Nadu like. (However, HUL has still not introduced Mehta's favourite tea blend - which he makes by mixing Yellow Label sold by Lipton Kenya with Taj Mahal from HUL India). In between, he had to deal with the rise of Patanjali, the bolt from the blue demonetisation, two years of drought which brought rural consumption to a standstill, and the rollout of GST. The results of his changes are beginning to show. For the past three quarters, HUL has been showing double digit volume growth. More importantly, EBIDTA margins have shot up from 15 per cent in fiscal 2012 to 21 per cent in fiscal 2018. The stock markets have applauded - since Mehta took over, the HUL stock price has shot up from Rs619.30 (Oct 1, 2013) to Rs1,648.1 (July 19, 2018), while market capitalisation has grown from Rs1,33,927.9 crore to Rs3,56,753.30 crore, an over 150 per cent rise. (In comparison, the broad FMCG index has grown only 65.5 per cent). After 13 years, HUL's market capitalisation has overtaken ITCs (Rs 3,33,457.39 crore). As Mehta and HUL executives love to point out, while everyone was applauding Patanjali for growing rapidly to revenues of Rs10,635 crore in six years, HUL had quietly added Rs13,000 crore of incremental revenues during the same period. Former Godrej Consumer Products MD, A. Mahendran attributes Mehta's unconventional thinking and drive to win to his chartered accountant brains. "Most CAs who lead businesses have brought in unconventional winning ideas. Former HUL chairman Keki Dadiseth was a CA and his era saw spectacular growth." (Mehta says with a deadpan face that if he were not a CA, he would have probably been a truck driver. It was a profession that fascinated him, and he actually learnt truck driving with its double declutching while doing his articleship). Though Mehta refuses to admit the exponential growth of Patanjali and other other start-ups had a huge role in HUL's reinvention, his strategies are a clear reflection of the realisation that HUL had to change in order to grow. In 2013 when Mehta took over, many regional FMCG companies such as Wagh Bakri Tea, Balaji Wafers, Manpasand Beverages and Ghadi Detergent were doing extremely well in their regions and getting ready for a national foray. As regional brands, they understood local consumers better and offered customised products. Wagh Bakri for instance, understood the tea palate in Gujarat far better than Brooke Bond or Tata Tea, hence they had an edge in Gujarat. Similarly Bru Instant Coffee, hardly had a market in Karnataka because the Bru formulation catered more to the Tamil Nadu style of coffee consumption. Also, most regional brands were far more competitive in terms of pricing. All these factors coupled together hurt companies such as HUL. "In India, languages and culture change within a 50-kilometre radius, competitors change, the level of economic growth changes. I realised we can't be running India as one India with our size and scale. I knew it will not work," explains Mehta. This lead to the birth of Winning in Many Indias (WIMI), a concept which lead to localisation not only in terms of products, but distribution and supply chain. Even the legal function went through the lens of localisation. HUL divided India into 14 clusters based on consumption patterns and stages of economic development. "WIMI was not only rewiring the company but changing the philosophy," points out Mehta. Teams were formed in the form of consumer clusters across India and people from regional sales roles were moved to take on these consumer clusters. Once the clusters were formed, product customisation such as Bru Instant Coffee variant in Karnataka which suited the state's coffee consumption style happened. People there prefer boiling coffee beans and not filtering it as in other parts of South India. The Karnataka Bru variant mimics the traditional Kannadiga coffee taste. Similarly, HUL launched a Rin detergent variant which promises to conserve water in areas where there is water deficiency. "If you take Rajasthan, UP, Bihar, Delhi and the hills up North, they are very different in consumption characteristics. With WIMI we tailor-made our supply chain to be sensitive to the needs of a geography," points out Pradeep Banerjee, Executive Director, Supply Chain, HUL. "The WIMI strategy enabled us to look at things from a lens of granularity, from a legal standpoint as well. Regulations that impact our business are both at a central and state level. WIMI helped us to think differently and take sharp and focused actions in state level legislative changes, proactively dealing with unfair competition at a cluster/local level. This helped the business agenda at the local/state level. Thanks to our federal structure, there are Central and state regulations which at times are at variance with each other," says Dev Bajpai, Executive Director (Legal & Corporate Affairs), HUL. Sridhar Gundaiah, CEO and Founder of Store King (a distribution start-up which partners with HUL to distribute its products in rural markets), says HUL in the last couple of years has been showing interest in understanding specific consumer needs in every market. "They want to know more about their consumers than earlier. They are making changes based on data they get from stores about what are the top selling products in a 50-kilometre radius." Alongside localisation and looking at India through the WIMI lens, Mehta has been earnestly trying to break the myth of a saturated Indian FMCG market by constantly pushing consumers to upgrade. "None of the categories in which we operate are anywhere close to maturity. We need to redefine the way we look at marketing and there are opportunities galore in the country." So, the idea is to convert a Wheel user to Surf Excel detergent or even its liquid variant, or even get them to use adjacent categories such as Comfort Fabric Conditioner. "So even when the categories are penetrated, the scope to grow is massive in terms of upgrading consumers,"explains Mehta. "Our focus has moved to not just participating in existing markets but creating new markets, and offering consumers new benefits - whether it is fabric conditioners, liquid detergents or Domex toilet Powder. Market development is the first pillar. The second has been premiumisation. That, for us, has been a game changer," adds Priya Nair, Executive Director, Home Care, HUL. The company, in fact, has identified categories such as fabric conditioners, liquid detergents, hair conditioners, anti-perspirants and green tea as categories of the future. "We are going to the consumers and educating them about the categories of the future. So, whether it is green tea, nature care tea, high-end Surf Excel, fabric conditioners, hair conditioners or anti-perspirants, we have identified businesses where we said we are going to invest to grow disproportionately. This was looking at our portfolio and making them future ready," explains Mehta. According to Abneesh Roy, Senior Vice-President, Institutional Equities, Edelweiss Securities, premium products comprise a fourth of HUL's overall portfolio and categories of future are growing 2X of the companys average growth. Localisation, and going the premium way are smart ways of managing scale, says Raghu Vishwanath, MD of brand valuation company, Vertebrand. "At a time when margins are shrinking and profitability is becoming difficult despite increase in revenue, having a combined strategy of localisation and premiumisation makes immense sense." A large segment of the analyst community believes that though HUL has been making the right moves it is yet to reflect on its growth chart. 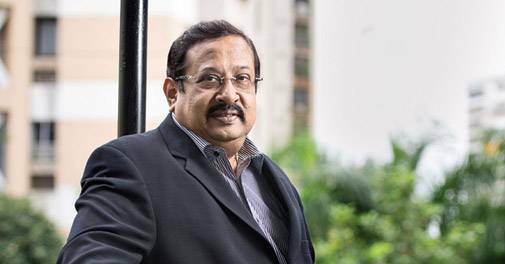 "It is too early for them to pat themselves on their shoulders," says N. Chandramouli, CEO of TRA, a brand audit company, who feels HUL continues to be more ROI focused and has an inertia to strategy. "It may be good from a shareholders point of view, but not good for growth," he adds. Industry feels a large chunk of the growth has come not due to strategic moves but because of a base correction post-demonetisation and GST. "During demonetisation, sales had dropped over 25 per cent. That has got corrected, which has reflected on their balance sheet. In terms of category growth on the back of premiumisation, I don't see anything happening. I would say P&G has done a better job than HUL," points out the head of a leading modern retail company. S. Raghunandan, former CEO of Jyothy Laboratories agrees. "The FMCG industry as a whole is doing better because of base correction, hence results are better. I dont think they have done better because of strategic moves." Though Mehta hopes volume growth would return to the 2008-12 levels, he does agree it is too early to pat his shoulders. "One is still being a bit circumspect or cautiously optimistic when saying we are back to the heady days of volumes because the base has seen so much of churn and turbulence. One needs to wait and see whether a definitive trend is emerging." Sunil Duggal, CEO of Dabur, recently mentioned in an interview that the Patanjali phenomenon was actually a blessing in disguise for the FMCG industry. The upstarts aggression pushed the industry to become more proactive. Though Mehta and his team deny Patanjali has had any kind of impact on their business decisions, it surely was a wake-up call for them. Along with WIMI and premiumisation strategy, Mehta also imbibed a culture of entrepreneurship within the organisation. This was a necessity to retain employees. HUL had been losing talent to e-commerce start-ups which offered an entrepreneurial culture. The need of the hour was to be nimble and agile. Patanjali for instance, came up with 8-10 innovations every quarter, while HUL would have managed 4-5 new launches every year. Mehta set up 15 country category business teams (CCBT) within the company last year. "We were increasingly meeting competitors who were local in nature and more agile. So, we had two imperatives - how do we bring in speed and agility and how do we become much more focused on local markets." The 15 CCBTs straddle home care, laundry, hair care, skin care, naturals and food and function like mini-boards within the company. Each CCBT is headed by a general manager, who has his/her team of finance, marketing, innovation, supply chain and digital professionals. "So 15 GMs have now been given the mandate to deliver the P&L for the year. This is a reorientation of the company," explains Mehta. The CCBTs have speeded up decision-making and the company has been able to roll out innovations faster. The rate of innovation too has gone up. The CCBTs and the WIMI clusters usually work together. So, when the company was scouting for acquisitions in the natural care space, the WIMI teams in South India recommended hair oil brand, Indulekha, to the CCBT team which took the discussion forward. HUL acquired Indulekha for Rs300 crore in 2016. "The company is led through two key teams - consumer clusters and CCBTs. These teams are empowered to do whatever is needed to deliver. This approach has changed the way we look at our business. It's not a top-down but bottom-up approach because all our teams build their strategy and plan to aggregate nationally. This has allowed us to respond faster, and we are able to offer customised and locally relevant solutions. From a talent perspective, the thrill of becoming a true general manager much earlier in one's career has come alive," explains B.P. Biddappa, Executive Director, Human Resources, HUL. "Earlier, it operated like a function. The category head was a marketing person and he would link-in to teams as needed. The CCBTs operate like mini boards and the various consumer clusters operate like regional business teams. A lot of capability interventions have been leveraged to build these teams and their members. Sanjiv, himself, has personally mentored each CCBT to help them build a GM approach to their leadership," adds Biddappa. 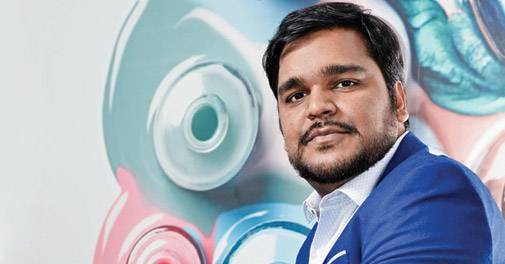 The organisational restructuring has made HUL far more agile and nimble, agrees Rahul Dash, Co-Founder of personal care e-commerce store, Purplle. "HUL now has a dedicated e-commerce team which empowers them to take swift decisions. They now understand data and have begun taking decisions on the basis of data trends. They are a full-fledged ecommerce company." Mehta has also been making HUL digitally enabled by ushering an ecosystem of technology and data. He calls data the fourth industrial revolution. "It will impact every business and is a massive opportunity to create immense value across the value chain. So two years back we started working on what we call re-imagining HUL," says Mehta. Technology and data have become a way of life and cant be limited to digital marketing. With this thought in mind he started imagining how technology and data could even help a kirana store owner to make his business more valuable. Can he also go online? Can he use data and analytics to stock the right kind of SKUs and service his customers better? This led to the birth of Humara Stores in Delhi where the company is trying to technologically empower kirana store owners. The company launched Shikar App that enables traders to place orders online and not wait for the distributor to visit his store. The company has been relying on technology to offer customisation. A grocer in a South Mumbai locality needs to have a completely different assortment than a grocer in the suburbs. "That's where technology comes into play. A salesman before he enters a store depending on the neighbourhood and profile of consumers in the area should have a customised assortment for that store. So, technology is going to have a profound impact across the value chain," explains Mehta. HUL today has a full-fledged e-commerce arm. "We have built capabilities in e-commerce much bigger than the size of business today, and our market share in e-commerce is greater than our share in modern trade and our share in modern trade is greater than in general trade. Why I am making this point to you is because these are the channels of the future. Just like the products of the future, we are investing in the channels of the future too," says Mehta. E-commerce, says Srinandan Sundaram, Executive Director, Sales and Customer Development, is actually teaching them how to do business even in traditional trade. "In many ways, in e-commerce, if you are not sharp and are unable to explain in a short time-frame about a product like Comfort Fabric Conditioner or even Indulekha, the consumer will move on. Therefore, it is forcing us to be precise in what we want to put out in front of your screen, because that five seconds dictates whether you are going to be chosen or not. If we are getting better conversions over there, certainly, the same can be adapted for general trade." For instance, the company saw a lot of buzz on green tea when it put out the green tea communication on digital platforms. "When we saw the buzz, we felt that we could increase the depth of distribution of green tea even in physical stores, and when we did so, it worked well for us. 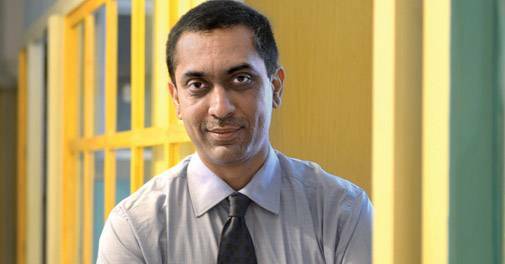 That's where end-to-end data plays a very important role," adds Sundaram. "Beauty and personal care is a category that lends itself to lot of discovery. It has a lot of passion and emotional engagement with brands, and digital allows us a wonderful way to talk to consumers. We are also excited by developments in e-commerce. We are innovating to stay ahead as these trends shape - with our current iconic brands as well as new brands. This has upped our game on data," adds Sandeep Kohli, Executive Director, Personal Care, HUL. Reimagining and rewiring HUL will need huge investments. The company launched Project Symphony to get employees to inculcate an attitude of ownership and come up with ideas to improve effectiveness and cost efficiency. It got over 800 ideas and has been able to increase savings from 3 per cent-4 per cent to 6 per cent-7 per cent in the last few years. "That gave us the corpus to deploy market development and increase our competitiveness," says Mehta. Though HUL has always been a cost conscious organisation, Srinivas Phatak, CFO, HUL, says the last few years have seen some fundamental shifts. "It has become an organisation wide initiative with a focus on employees having an owners' mindset. That's when everybody questions costs in terms of is it really benefitting a consumer or a customer." Cost-efficiency and profitability have become global mandates after the Kraft-Heinz bid to take over Unilever for $143 billion last year. Unilever CEO, Paul Polman said that his company would conduct a comprehensive review of options to ensure that it is able to maximise profitability and deliver best possible returns to shareholders. "Pressure will also come on Unilever India and you will see them exiting from few non-performing businesses. Food could be one of them," points out a senior industry leader. Food and refreshments contribute 18 per cent to the overall revenue of the company, of which food is barely three per cent. While it has a strong tea and coffee business, its food strategy has been haphazard and half-hearted. While it has a strong market in jams under the Kissan brand, the Knorr brand of soups hasn't been able to make a significant impact. Though it recently launched Ayurvedic breakfast mixes under the Ayush brand, food is certainly the weakest link in the HUL value chain. "I would say, we are gaining market share in all the categories that we operate in. 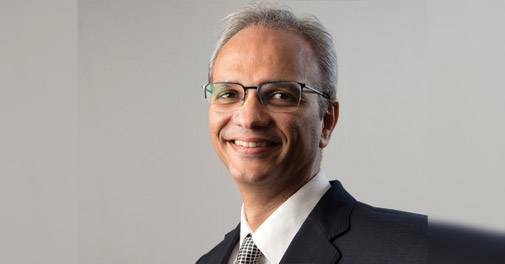 If you take a 5-year period, each of the six categories - tea, coffee, ketchup, soups, jams, noodles - have grown," defends Sudhir Sitapati, Executive Director, Food and Refreshments, HUL. The larger HUL story however, is one of calibrated growth on the back of a complete re-haul of the organisation. Though a large chunk of industry feels the effect of organisational make-over is yet to show on its balance sheet, they do believe HUL is making the right moves.